I wanted to let you know that I’m still in the land of the living. Soon after I returned from Scotland and Ireland I headed out on a trip to Israel and Jordan. I know, I know, it seems to come in waves. Talk about drastic differences in culture, climate and everything! Wow! Both trips were amazing and I learned so much that I can’t wait to share about. I am just now getting over my jet-lag and starting to feel like a real person again, so I should be back to posting very soon. 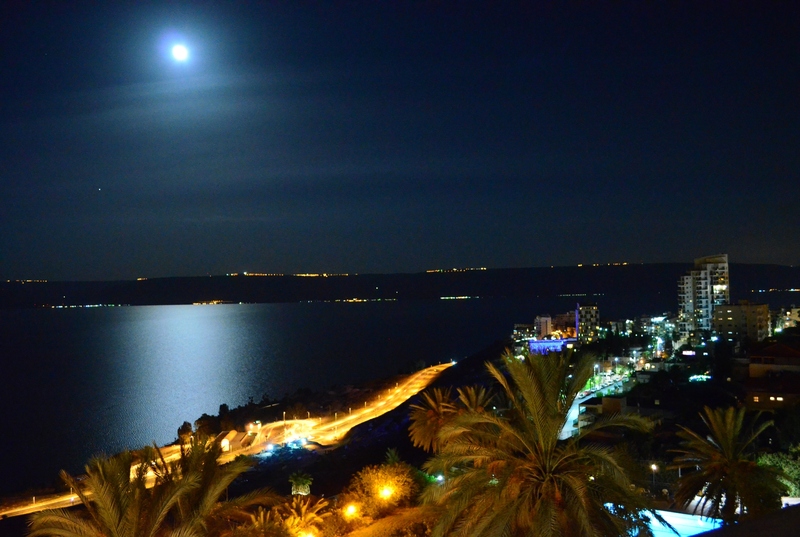 While you’re waiting, please enjoy this photo of the full moon over the Sea of Galilee. It was taken from our balcony at the King Solomon’s Hotel in the city of Tiberias, which was about mid-way through our trip. Come back soon for more travel stories! I miss connecting with you.